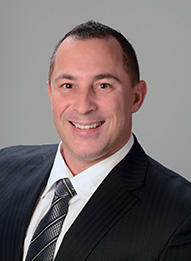 I’m Robert Di Risio I’ve been an Allstate agent for 5 years and have studied marketing at St. Clair College. I have been in the customer service industry for 25 years, in many different Environments. This wide range of experience has provided me with the knowledge needed to serve my customers with the best quality, care and advice. I’m a proud husband and father of 2 beautiful girls who keep me on the go, I am also pleased to call Essex Ontario home. As an Allstate agent, employee and resident of Essex County, I’m proud to bring good to life right where I live – supporting and strengthening our communities through sponsored events such as Local Motorcycle charity events and charity groups such as the Fantastic Fathers Local Non-Profit Charity.